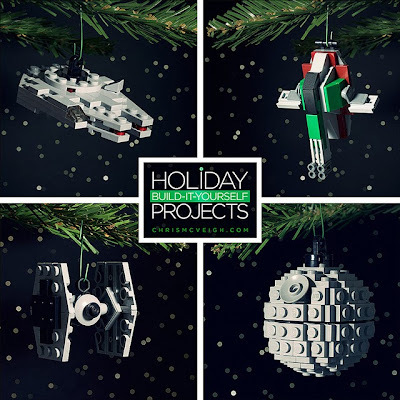 Just look at how tiny and cute they are! 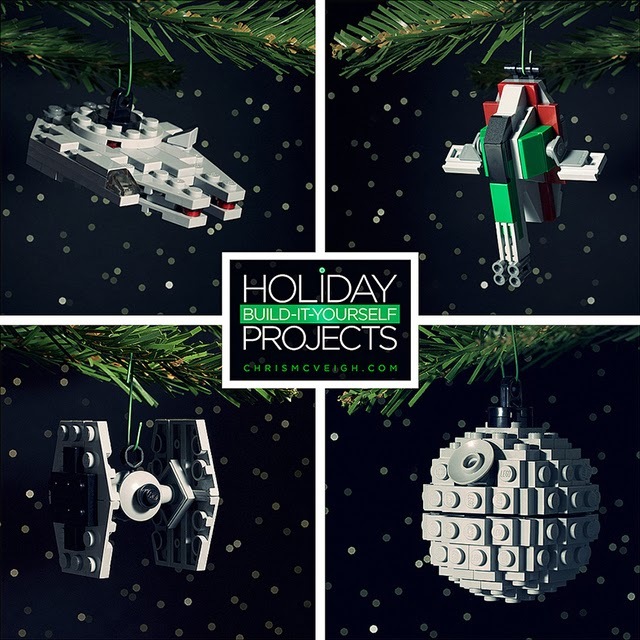 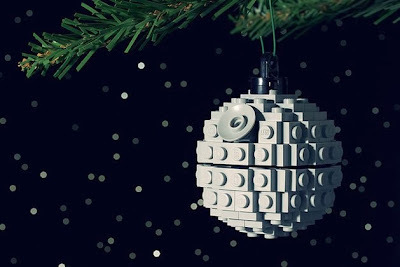 If you want to make these ornaments for your tree or as gifts for friends, you should probably act quick to either order the parts or visit a local LEGO store to obtain them. 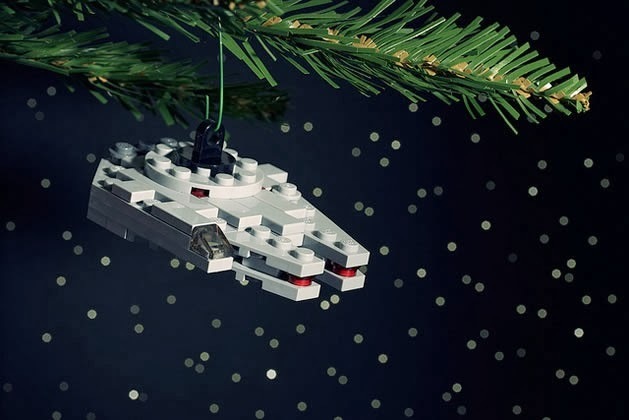 You also have the option of ordering complete kits for Christmas-y ornaments from McVeigh's shop. I'm going to attempt to finish all my holiday crafting this weekend (with lots of hot chocolate and wine) and there will definitely be LEGO stuff in the pile!